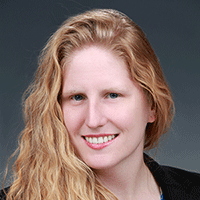 The American Society of Civil Engineers (ASCE) has named Alicia Gorton as a 2015 New Face of Civil Engineering Professional. The announcement was made in December 2014, to nominees representing "the bold and humanitarian future of civil engineering." Dr. Gorton works on a wide variety of projects at the Lab, including environmental and risk evaluations of the Hanford Site. Alicia initiated the development of a now fully-formed and recognized ASCE Younger Member Group for the Columbia Section. To learn more, read the ASCE announcement. Congratulations, Alicia, on your achievement and impact in the engineering field.